The bad news: That self-deprecating comment might as well describe Chapman herself. Undoubtedly gifted, earnest and endearingly bashful, the veteran songwriter is just plain pleasant onstage. The Bay Area resident played a sold-out show for an adoring hometown audience at the Berkeley Community Theater. It’s no secret that Chapman endures the spotlight only in the service of her songs. On Wednesday she and her four-piece band used the sparest of stage sets, a tidy collection of amplifiers and little else. The band — guitarist Steve Hunter, bassist Paul Bushnell, drummer Denny Fongheiser and keyboardist Jeff Young — took the stage silently, in the dark. The crowd’s murmurs became cheers as Chapman followed, silhouetted by a deep-blue backdrop. “You’re my queen!” one woman shouted. It was not the last such declaration of the night. Her songs are filled with such vague political bromides. The singer is adored by her fans in large part for her identity politics, but those are not always her best moments. Midway through the set she played “The Promise,” a brittle love song from 1996’s aptly titled career-restoring album “New Beginning.” The singer’s simple, dignified reading of the song, accompanied by Bushnell’s soft acoustic bass guitar, Young’s Pachelbel-style synthesized violin sound and Chapman’s own gentle fingerpicking, was one of the few times the show transcended natty professionalism. Another highlight took place when Chapman invited her opening act, the young acoustic bluesman Corey Harris, onstage for an impromptu duet. Trading lines from the traditional blues “Sittin’ on Top of the World,” the tall, dreadlocked Harris drew hollers of approval for his falsetto improvisation. To her credit, Chapman still manages to make her early hit, “Fast Car,” sound fresh after a thousand renditions. The same couldn’t be said for “Talkin’ ‘Bout a Revolution,” which was curiously devoid of passion. The two-hour show ended with a lengthy version of another hit, “Give Me One Reason” (“to stay here/ And I’ll turn right back around”). The bandleader milked the song for every obvious drop of its manipulative powers, vamping on the final lines “I told you that I love you/ And there ain’t no more to say” as her fans dutifully called for more. They got it, in the form of a sole encore song, Bob Marley and the Wailers’ “Get Up, Stand Up.” The band lumbered through the people’s anthem as though it were part of a workout, tamping down the herky-jerky energy of the original. Most in the crowd seemed to think it was a wonderful finale. If a few of them left vowing to renew their social ideals, fuzzy as they might be, then admittedly Chapman had done the job she has chosen for herself. 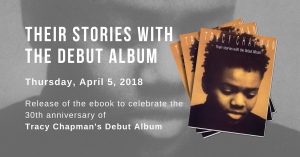 BERKELEY, Calif. — There was something electrifying about the way Tracy Chapman charged into Bob Marley’s anthem “Get Up, Stand Up” in response to a standing ovation at the end of her set Wednesday at the Berkeley Community Theater. The international star’s sold-out show ran almost two hours, but her heartfelt, quivering vocals and often biting social commentary were up-front from the start. The three-time Grammy Award winner reflected on how comfortable she felt playing in the San Francisco Bay Area. “As some of you know, I’m home right now and very happy to be here,” she said. Chapman, a native of Cleveland, has made her home in San Francisco for several years. Her apparent sense of ease seemed to put her in the mood for experimenting: “We’re going to take a few liberties and play some of these songs in a different way,” she told the crowd. Then she kicked in with a melodic version of “Speak the Word, Love, Love, Love,” also from Telling Stories. Her four-piece band, tight all night, took off jamming on this song. Organist Jeff Young added an intriguing gospel sound as Steve Hunter played some bluesy leads and slide guitar. Throughout the evening, Chapman stuck primarily to her acoustic guitar, complementing the solid rhythm section and singing strong harmonies with various bandmembers. She showed a mastery of subtlety and dynamics as she guided the band through the set’s peaks and valleys. Her dreamy, sensitive delivery made for a quieting, soothing respite from today’s hectic lifestyles. Halfway through, her love songs came pouring out, including the pure and lovely “Save A Place For Me” She also sang a disturbing yet beautiful a capella solo commenting on domestic violence. The tempo slowed for these midset songs, but things picked up again with a nice duet with bluesman Corey Harris, who’d opened the show, on the traditional blues number “Sittin’ on Top of the World.” Chapman’s voice was deep, low and bluesy, and Harris hit the high notes above her. Between songs, the obviously shy headliner took her time, often staying silent for a minute or more, while the audience hooted and clapped in anticipation of her next song. Chapman did her early hit “Fast Car” solo, then followed that with a rousing version of the title song “Telling Stories”. On her comeback hit single “Give Me One Reason,” from her 1995 New Beginning album, the band played it just like the record — the first time. After a pause, they came back to play a funky, more experimental rendition. A slow, swampy version of the classic blues song “Rollin’ and a Tumblin’ ” followed, demonstrating how soulful Chapman can be on blues. The audience had been urging her to play her debut hit “Talkin’ ‘Bout a Revolution” all night, screaming requests between songs. Finally, she did. The song’s message and raw energy marked one of the crescendos of the performance, on a par with the celebration that eventually engulfed the room during the encore.